The aviation industry today is evolving faster than at almost any point in its history, and you need to hire aviation staff with the right skills to keep up. Read on to learn more about the factors that will define the future of aviation, then check out our brand-new white paper to get a handle on the staff you need to tackle them. What factors are influencing the aviation industry today? Today’s consumer expects a totally different passenger experience – one that prioritises convenience, comfort and connectivity. Some airlines are already deploying new systems that empower passengers, enabling them to check in via an app or SMS message, and self-tag their own luggage. Passengers are also craving more in-flight connectivity. If provided, this will open up opportunities to bring in a new generation of app-based infotainment systems. To ensure a personalised experience, some airlines are even using In-flight Service Assistants, which give cabin crew access to details such as premium membership status, purchasing history and dietary requirements. Solutions such as these will vastly increase demand for web/app developers, as well as product specialists and IT systems operators. With UK passenger numbers set to swell by 80% by 2034, many aviation companies are looking at ways to increase efficiency to maintain steady growth. Much of the onus so far has been on technological developments that make existing resources function more effectively. 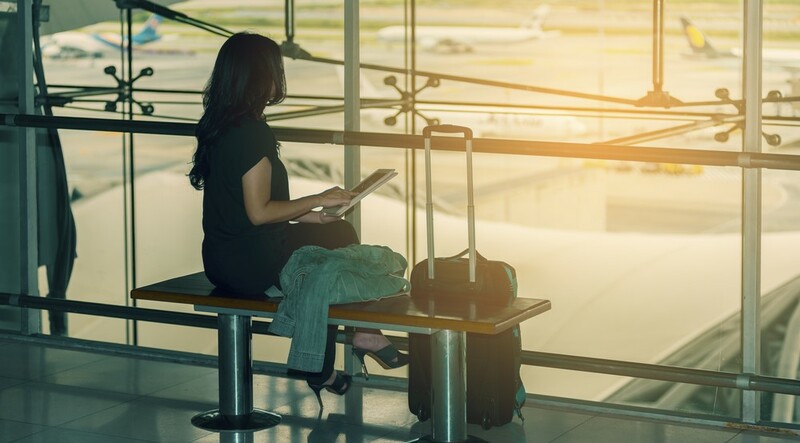 For example, some major airports have begun looking at how Bluetooth beacons and blockchain technology can be used to track passenger movements and improve pathway designation. Similarly, Air Traffic Control is going digital, allowing a higher number of planes to be monitored with greater accuracy. Demand will grow for candidates with experience in these technologies, as well as staff adept at processing data to gain actionable insights and refining systems for industry-specific use. Aviation fuel isn’t only the largest input cost for airlines, consuming it also takes a real toll on the environment. Combined with the resources needed to manufacture components, power airports and transport passengers to these hubs, it’s clear that aviation is a notably resource-intensive industry. The public now expects more from brands in terms of eco-credentials, and may ultimately voice this with their wallets. However, the most pressing requirement comes from the EU, who’ve pledged to stabilise aviation-related emission rates at the level that will be reached in 2020. Aviation companies are starting to look at alternative aircraft designs and fuels to stabilise emission rates, which will require staff with a fresh outlook on design and engineering. Piloting practices are also under review, and would benefit from staff with a firm grasp of advanced data analysis. Want to find out how to hire aviation staff with technological skills to help you overcome these challenges and get ahead of the competition? You’ll find all the answers in our brand new white paper: ‘Aviation’s technological transformation: Why your recruitment strategy needs an urgent refit’. Discover the ways technological skills could enhance your airline’s operations and hire the most qualified staff by calling on the experts at AeroProfessional.